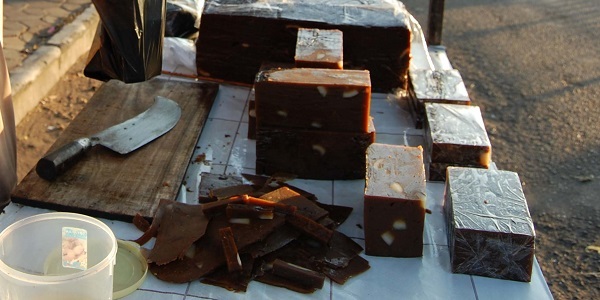 6/10/2013 · Dodol is a typical Goan sweet that is mostly made at Christmas. However you can make it whenever you please and if it is a small quantity, it is manageable. Goan’s make the dodol in 2 ways either they use wheat flour or millet flour, rice flour is usually used in a small quantity for texture. Kalu Dodol in Sri Lanka is made with rice flour. My humble opinion is that using rice flour makes the Dodol firmer but the Goan dodol is softer and a little sticky, which I prefer.